Waterfront Home on the St. Johns River. 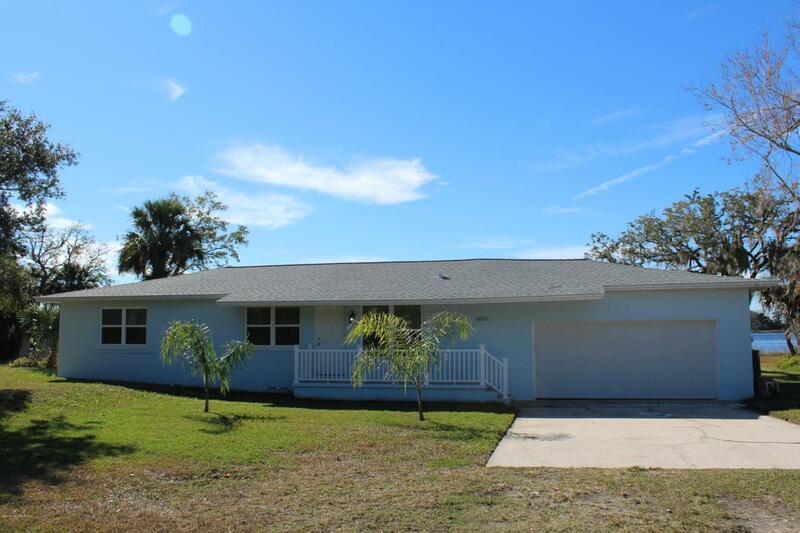 This 3 Bedroom 2 Bath home has been completely remodeled and is ready for a new home owner. This is a concrete block home and energy efficient. New roof, updated owners bath with corner walk in shower and double sink vanity. Kitchen has new cabinets, wine rack and granite countertops. New flooring is beautiful. Enjoy the evening on the boat dock as you watch the sun set or take your watercraft out and head towards the ocean. This home offers a large .32 acre lot with lots of room for children, weekend volleyball or the family pet. Enjoy sipping coffee on your beautiful wood deck that overlooks the river. This is a must see home. Please take a look at the online 3D virtual tour for home details.